Ukraine has transferred the outstanding $1.65 billion owed to Russia’s Gazprom, company spokesman Sergey Kupriyanov has confirmed. Ukraine’s Naftogaz has collected about 300 million cubic meters of gas of the 1 billion it has already paid for, Kupriyanov added. "The rest of the advance payment will be used to pay for gas supplied to Ukraine next year in January," he said. 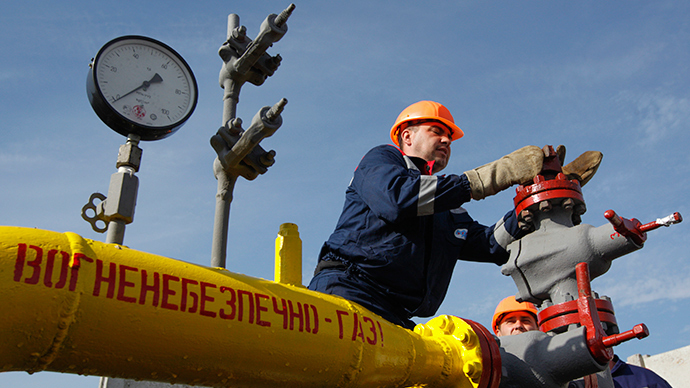 Late on Tuesday Naftogaz confirmed it transferred the money to Gazprom. … following the agreements reached in Brussels Naftogaz paid $3.1 billion in two tranches to settle for 11.5 billion cubic meters of gas supplied by Gazprom in November-December 2013 and April – June 2014,” the company said in its press – release. The first payment of $1.45 billion was made on November 4. On Tuesday, Russian Energy Minister Aleksandr Novak warned that Russia could cut gas supplies should Kiev fail to pay its outstanding debt by the end of December. He also added that Russia was ready to discuss the possibility of providing Ukraine with more gas discounts in the spring of 2015, when the ‘winter plan’ expires. Novak said that the price in the first quarter of 2015 will be $340-360 per 1,000 cubic meters, which is below the $378 price for December.